This month's BDJBox Elite is overflowing with goodies. I am sure you will feel like it's Christmas in September! It's a complete package! It comes with an ammonia-free hair color that lasts up to 28 washes, a shampoo that is especially formulated for color treated hair, a cleansing gel so you can be acne-free this holiday season, a concealer that covers unwanted zits, a new stretch mark cream for flawless skin, and the latest cushion foundation that I fell in love with at first try! Biore, Japan's no. 1 makeup remover brand, is finally here! Biore Cleansing Oil Cotton Facial Sheets comes in a handy pack that you can always bring with you. It removes all traces of makeup without irritating and drying your skin. It also contains hydrating beauty essence that leaves skin smooth and moisturized. For medium to heavy makeup users, try Biore Cleansing Oil. It effectively removes stubborn makeup like waterproof mascara and at the same time, lifting away dirt and impurities! Got zits? 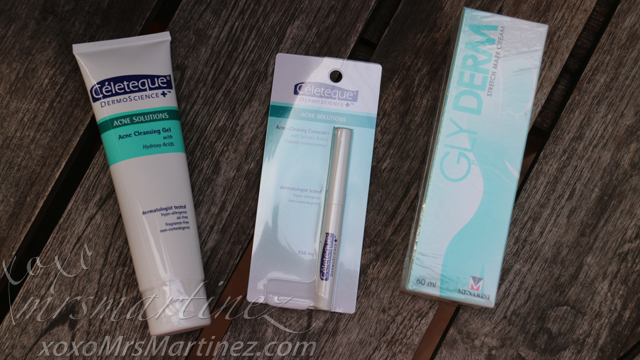 Celeteque got you covered with two amazing products- Acne Cleansing Gel and Acne-Clearing Concealer. Celeteque Acne Cleansing Gel has Hydroxy Acid that can penetrate hair follicles and exfoliate dead skin cells, thus removing blockage and decreasing comedones on the skin while Celeteque Acne-Clearing Concealer covers unwanted pimples while actively helping in its treatments. Effects of these two products can be seen in as early as one week! Glyderm Stretchmark Cream's Tri-Derm Actives, sweet almond oil, and shea butter help rebuild collagen and regain skin elasticity. The result is less visible stretch marks on your skin. L'Oreal Paris Casting Creme Gloss has no ammonia in its list of ingredients.The natural-looking color with visible shimmering tones and glossy shine lasts up to 28 washes! 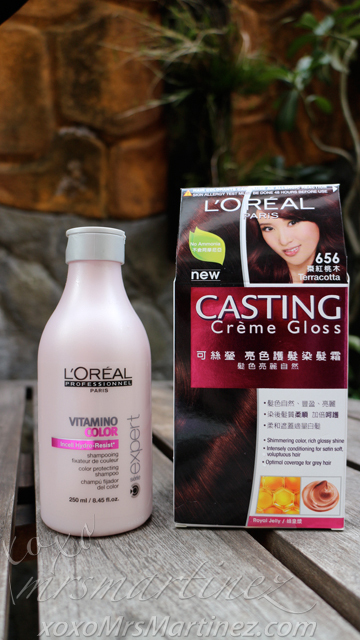 This is not the first time that I have tried L'Oreal Professionnel Vitamino Color Shampoo, I can say that it is very effective in maintaining color-treated hair. It has double-protection system for colored hair with incell hydro-resist, a UV filter for hair and derivatives of Vitamin E and Magnesium to protect your hair from the sun. The Face Shop Oil Control Water Cushion is the first ever cushion foundation that has a matte effect. It covers up imperfections and pigmentation. 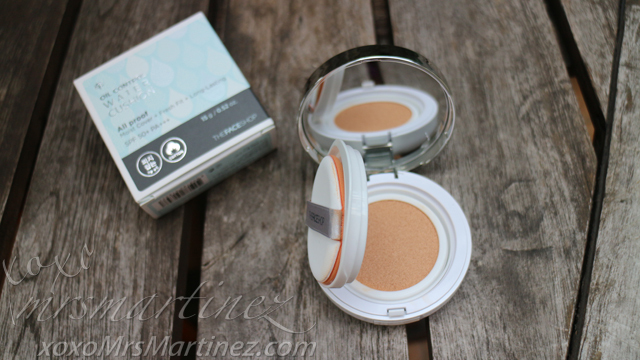 It has sebum control formula that helps keeps makeup shine-free. I tried it last Sunday and I loved it. I will definitely post a Face Of The Day (FOTD) entry here. BDJBox keeps getting better and better. I can't wait to see what's inside BDJBox Elite October! For only Php 1,480 a month, you will get a BDJ Box Elite filled with products worth Php 3,000. That's double of the amount you paid! 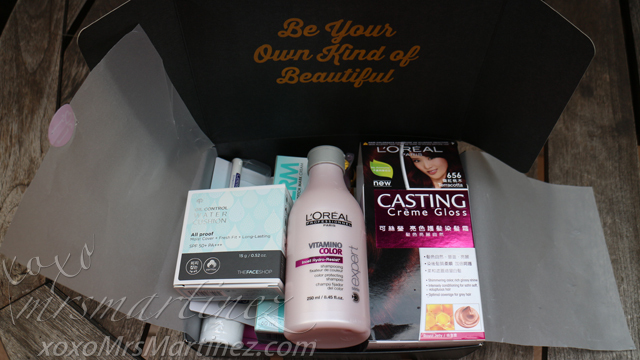 But that's not all, you will get access to a beauty group- exclusive for BDJ Box Elite subscribers. BDJ Box Team and Beauty Ministry will be there to share how to best use the products you will be getting and to answer all your beauty questions. Best of all, you will get a chance to be part of BDJ Box Beauty Ministry's monthly makeup parties!